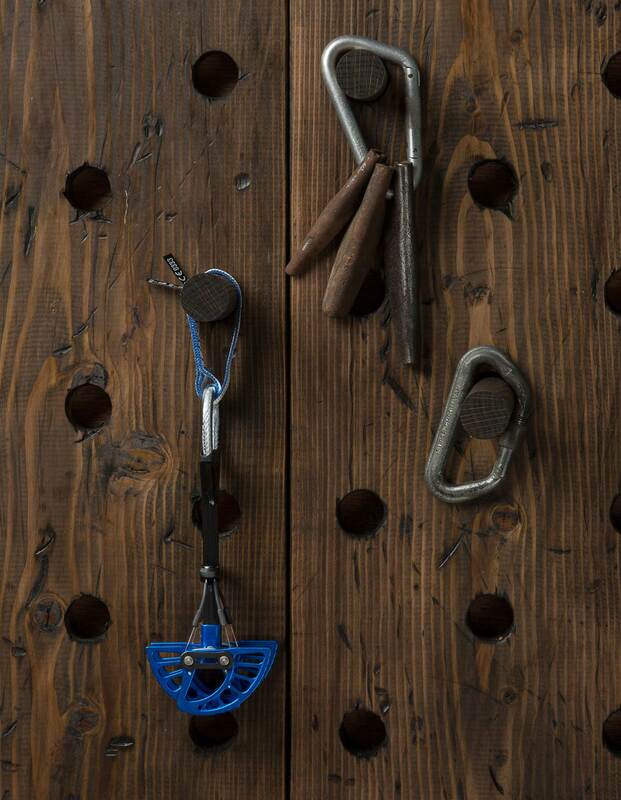 The gear and techniques used to climb mountains have evolved drastically over the last 150 years, and thankfully so. 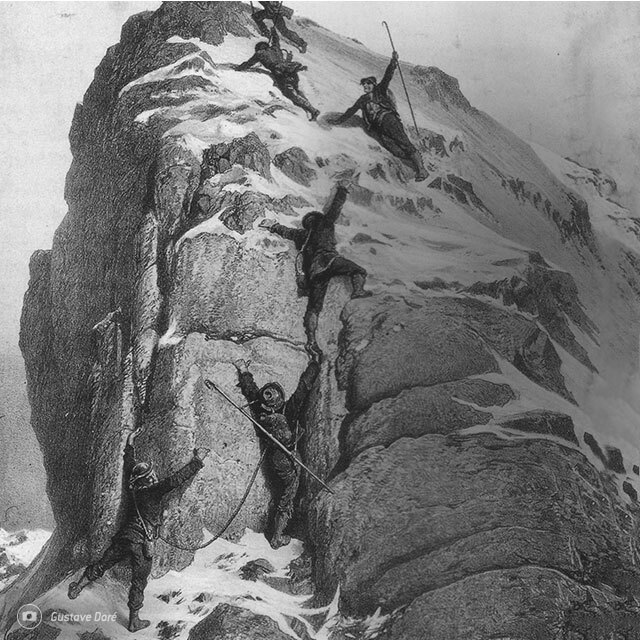 To bag a summit and live to tell the tale, the pioneers of alpinism had to be as hard as the nails in their boots. 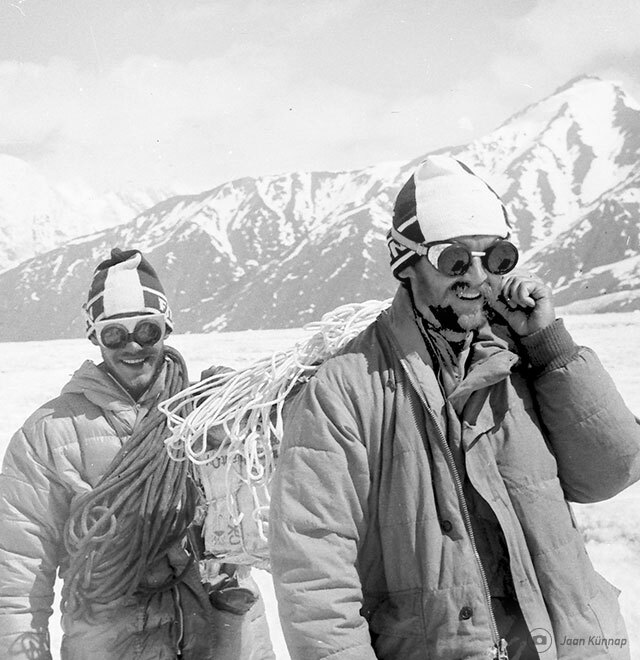 To fully appreciate today’s innovations, and to gain a greater respect for the climbers of the past, we took a closer look at the “then & now” of mountaineering gear. 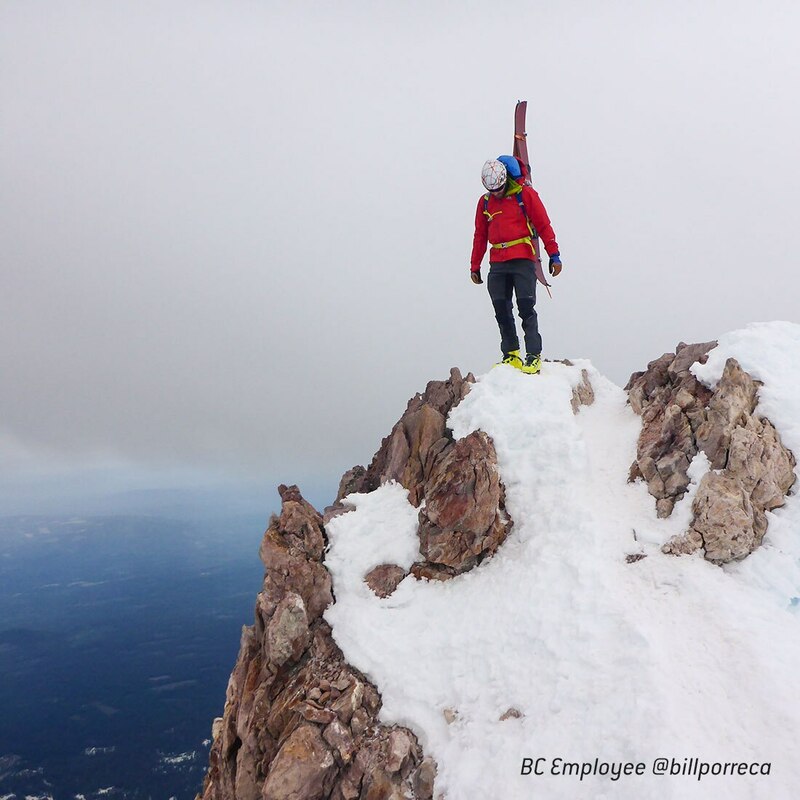 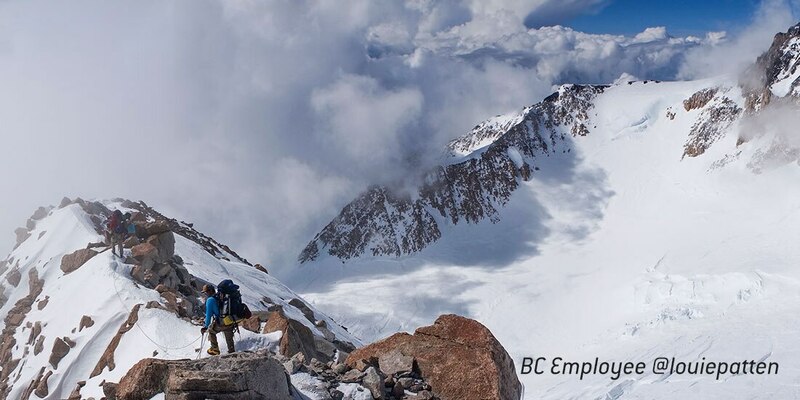 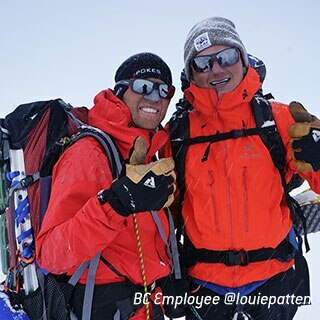 A Backcountry Gearhead for 7 years running, Bill has climbed frozen volcanoes in the Pacific Northwest, 14ers in Colorado, and skied off the summit of Denali. 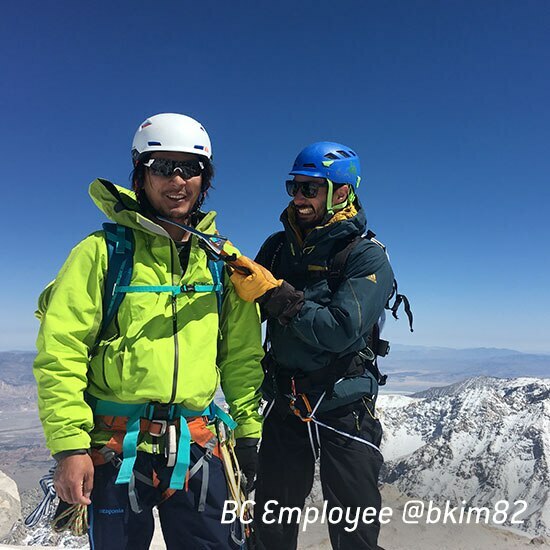 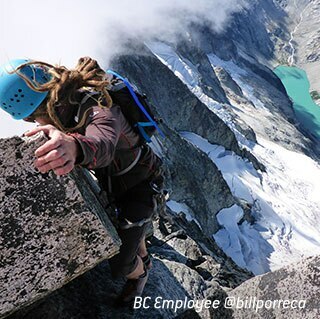 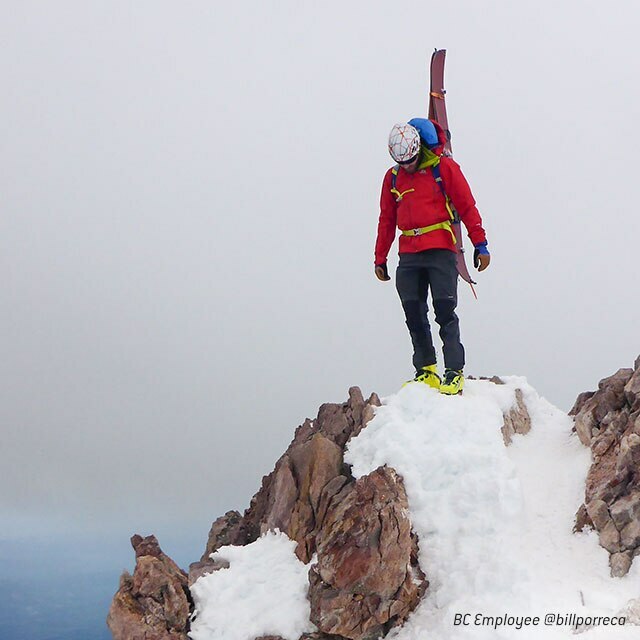 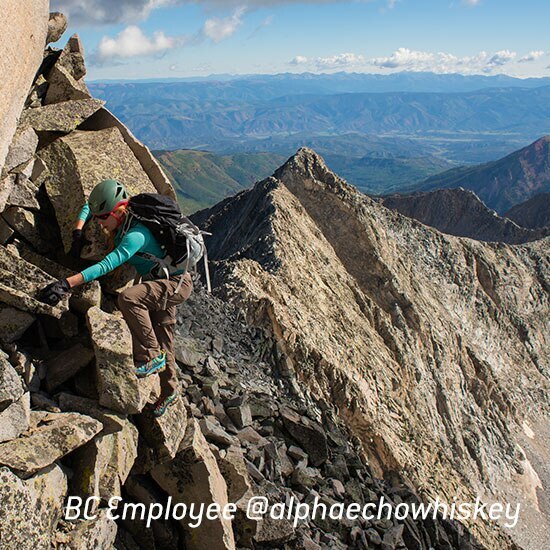 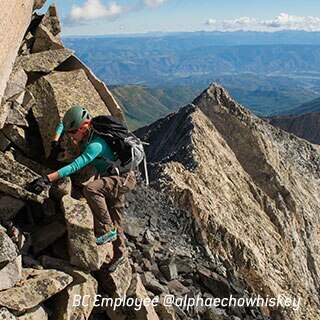 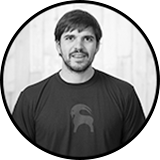 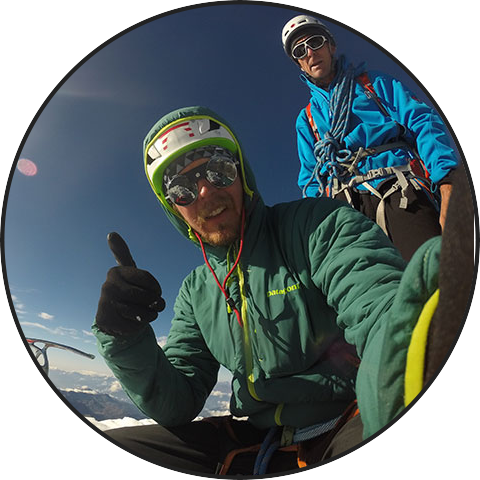 If you have questions about gearing up for a mountaineering adventure, Bill is your guy. 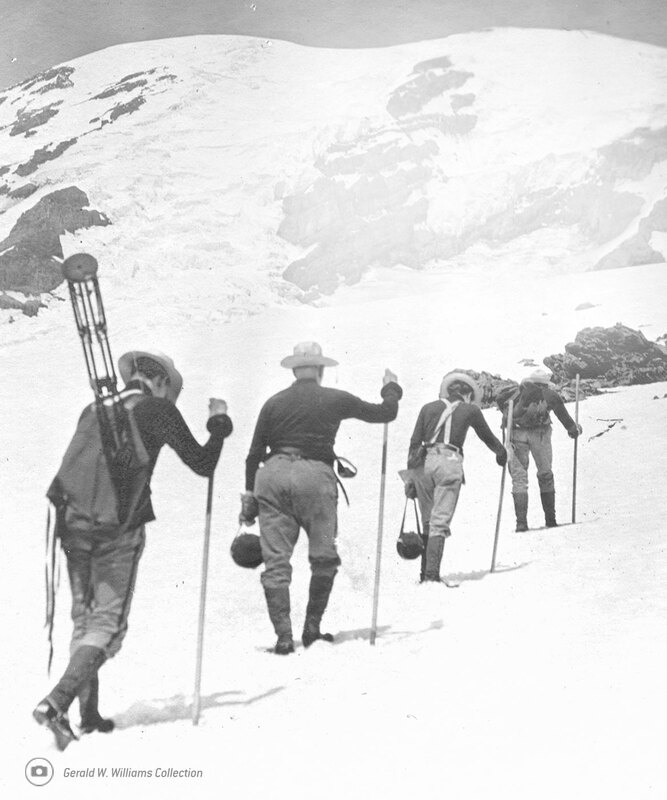 To provide traction on ice and rock, early alpinists relied on hobnailed boots—leather boots with short steel nails driven into the soles. 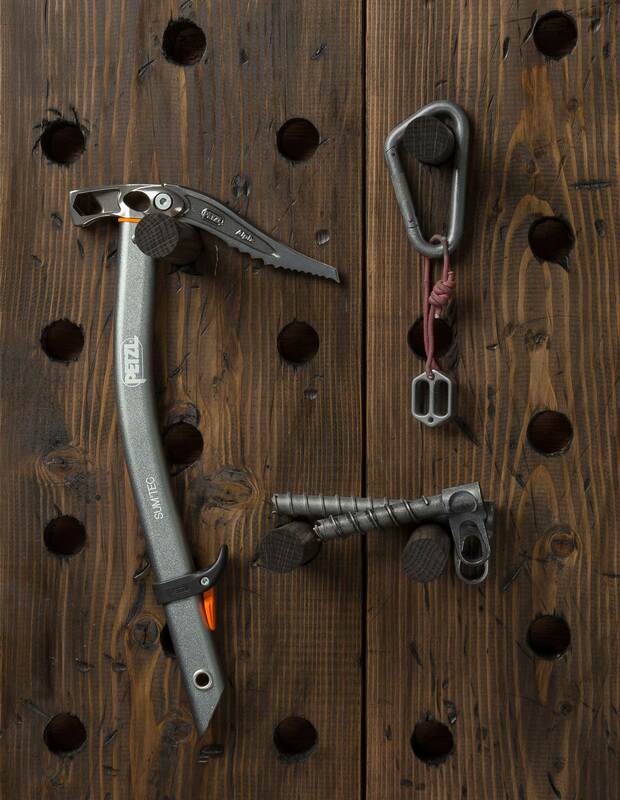 In 1910, the English climbing pioneer Oscar Eckenstein upped the game with the predecessor to the modern-day crampon. 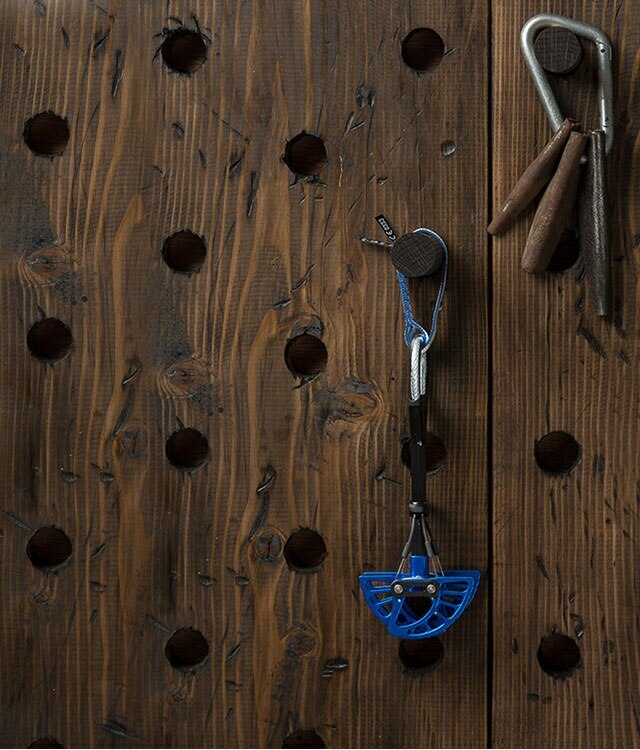 Made from steel with 10 downward-facing points, the ‘ice claws’ could be attached to the bottom of a boot with leather straps. 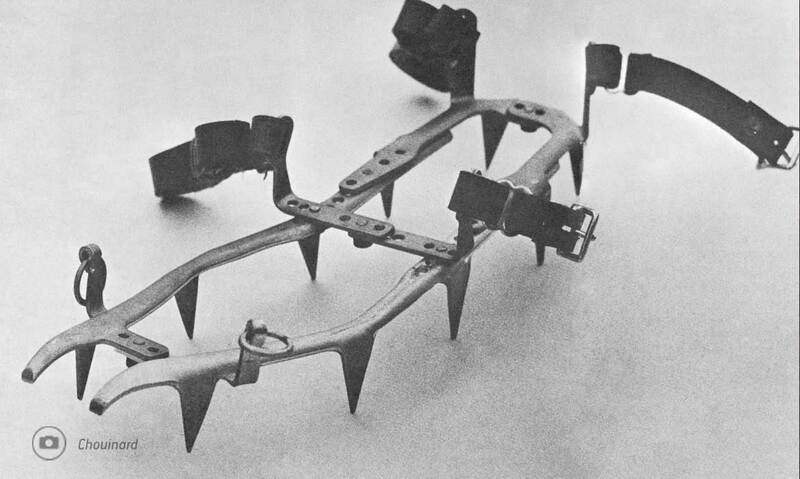 Despite looking like medieval torture devices, Eckstein’s invention was a big step in the right direction. 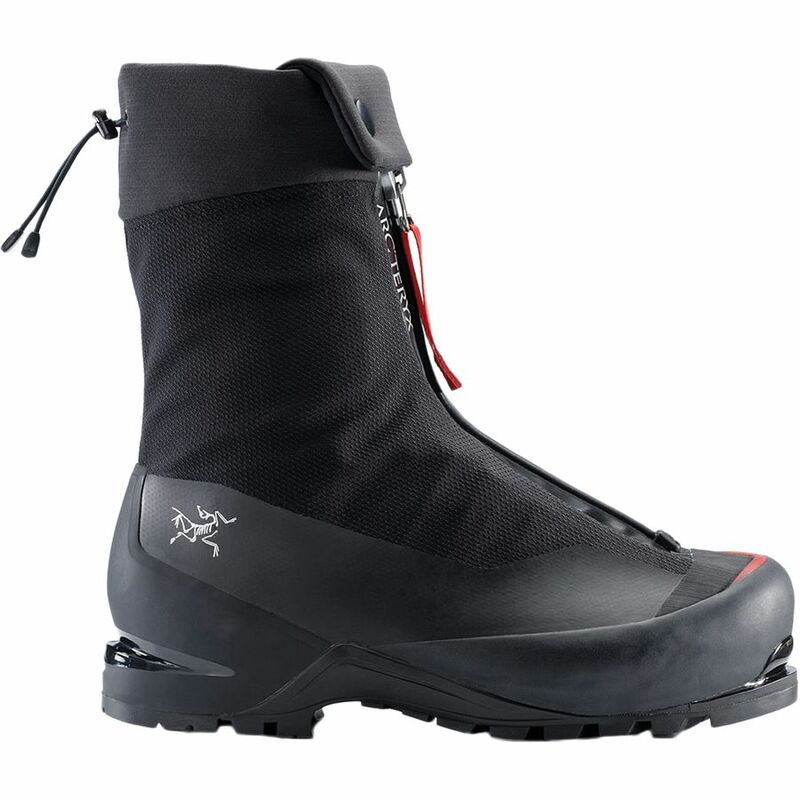 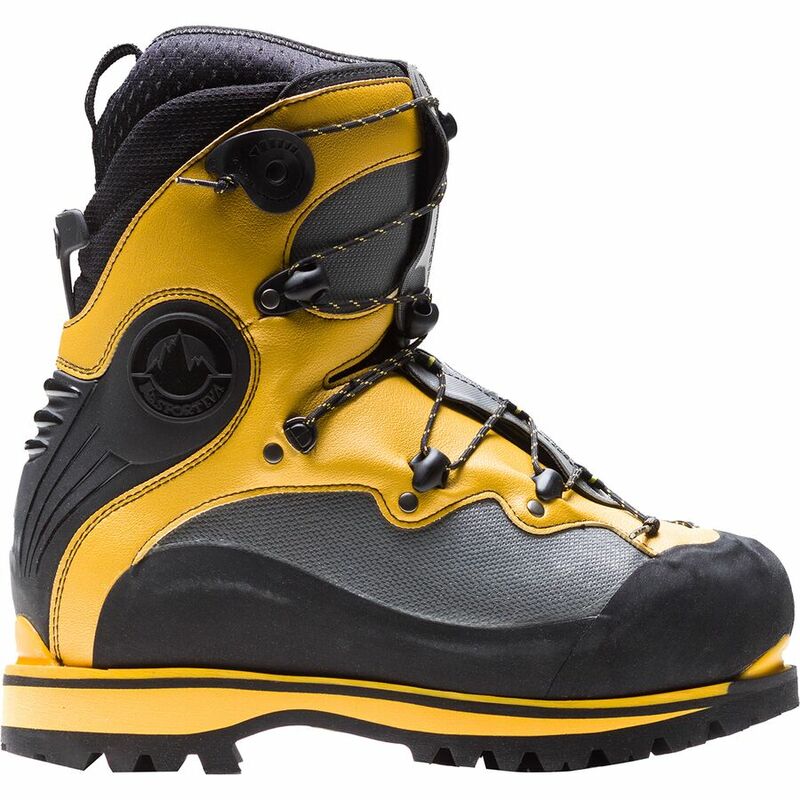 Today’s top-shelf mountaineering boots are made from advanced synthetic materials, making them lightweight, warm, waterproof, and breathable. 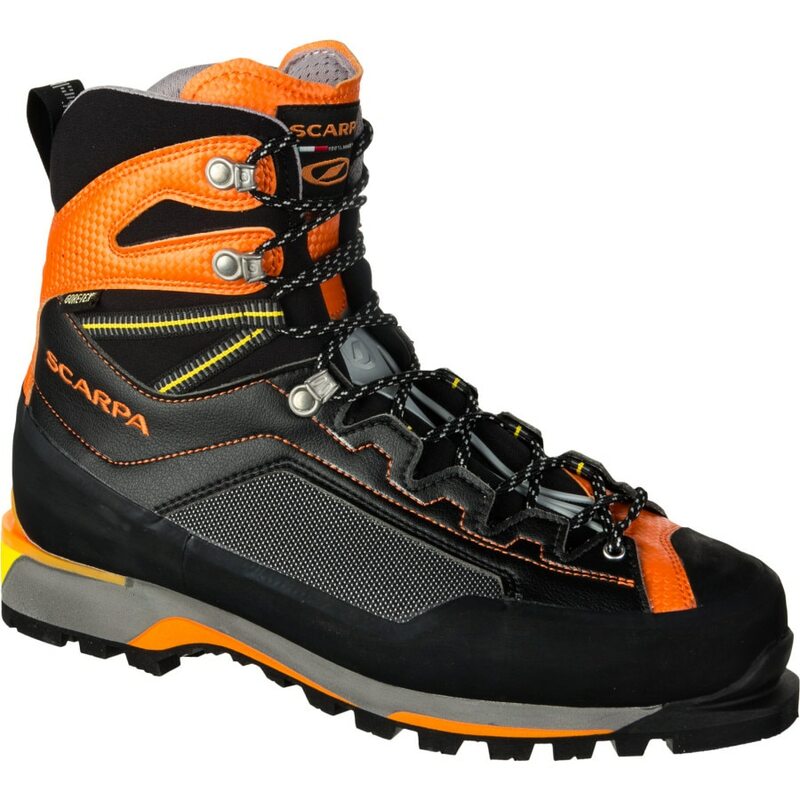 The soles of modern boots are also designed so crampons can be clipped on instantly. 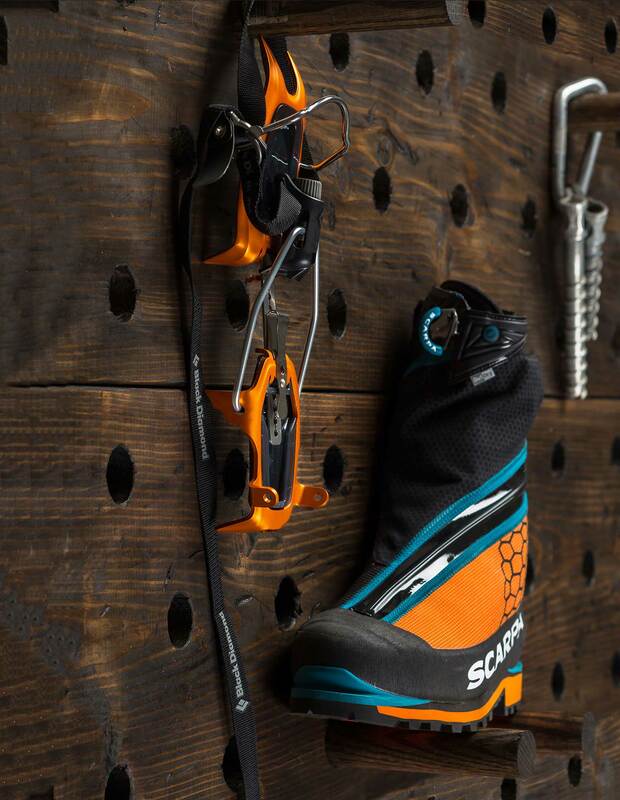 Often made from aluminum to shave weight, modern crampons have foreword-facing front points, allowing alpinists to efficiently climb on vertical ice. 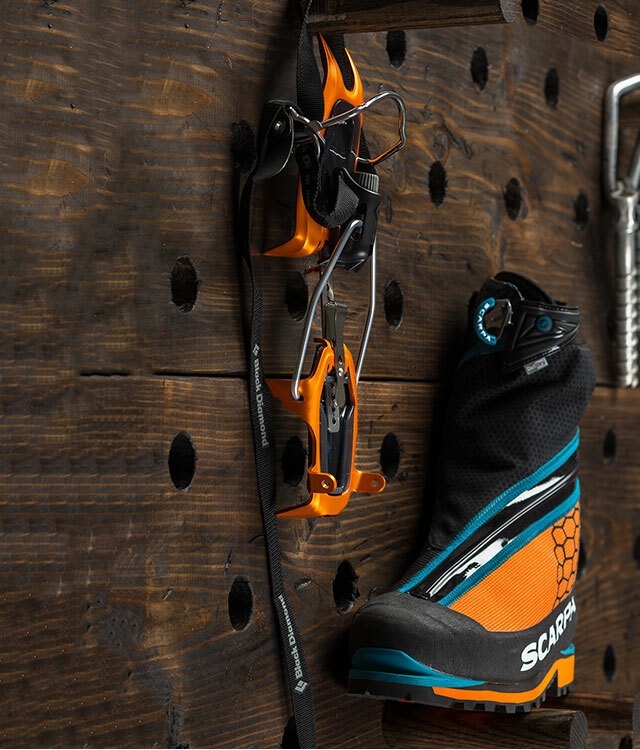 Scarpa Phantom Tech Mountaineering Boot: Light and precise, the Phantom Tech is ideal for done-in-a-day peak bagging and ice climbing. 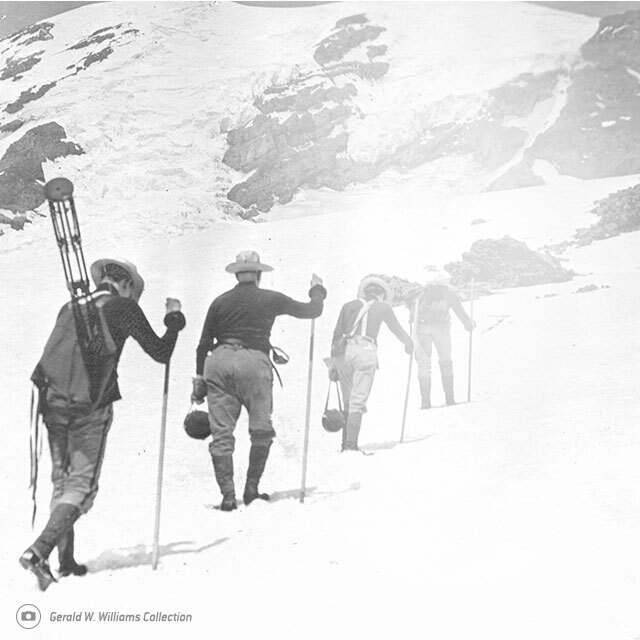 The earliest mountaineers carried a long iron-tipped walking stick in one hand and a hatchet in the other for cutting steps in steep ice slopes. 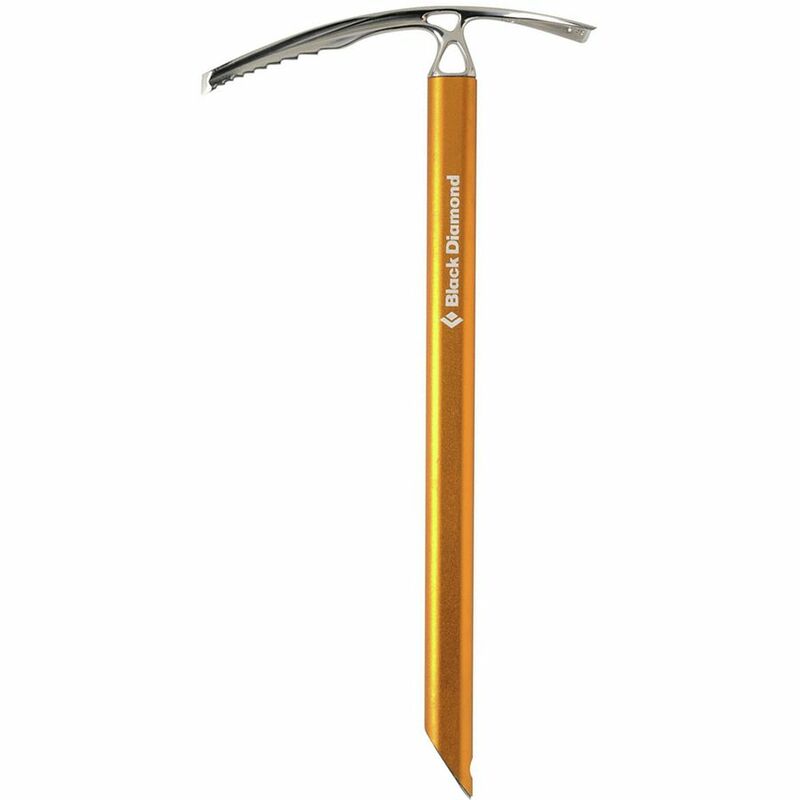 Eventually, these two tools were combined into a single pointed shaft with a blade and pick attached to the top, and the ice axe was born. 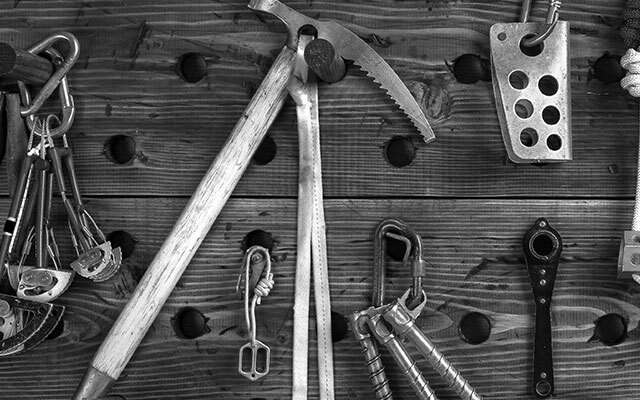 Made from solid ash and forged steel, old-school ice axes were heavy, but they got the job done. 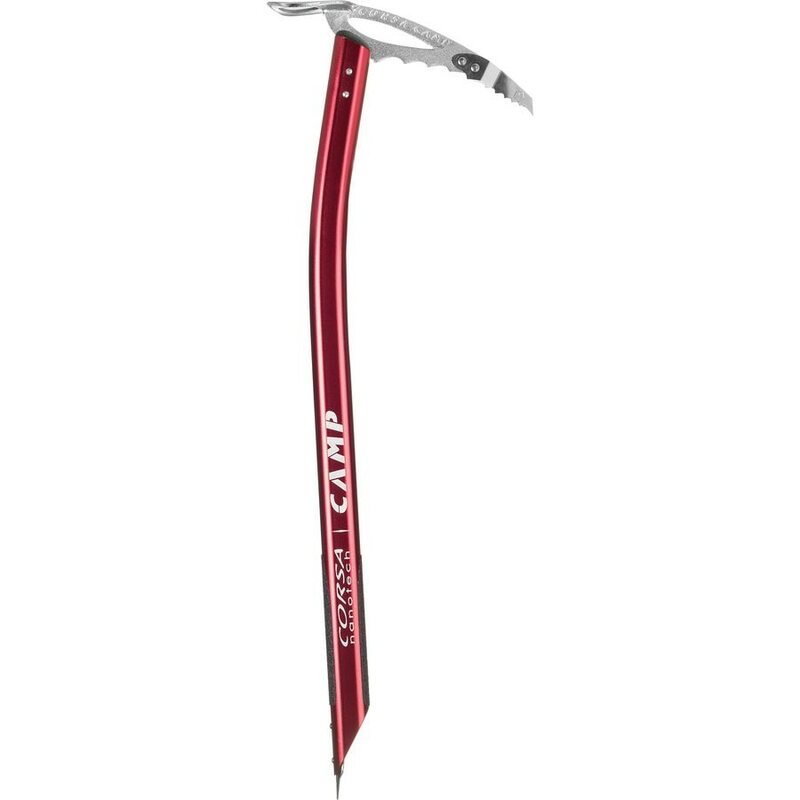 Made from lightweight alloys, modern ice axes are super lightweight and often feature an ergonomically curved shaft to maximize the efficiency of a swing. 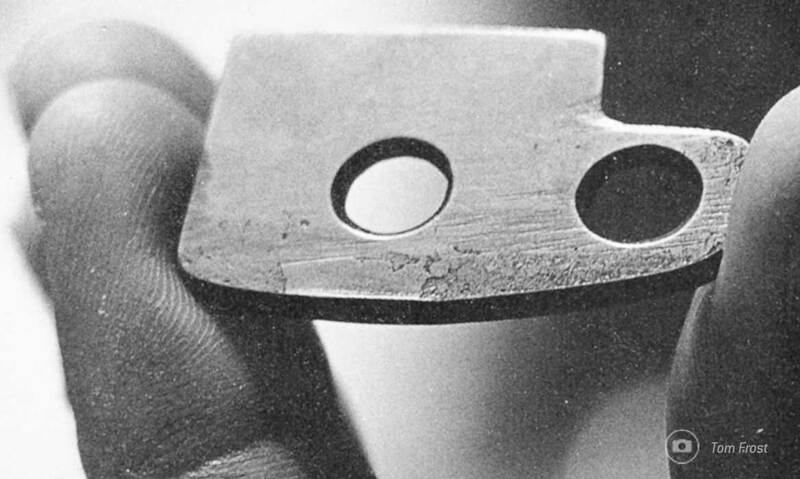 The curve of the pick, along with its serrated teeth, help keep the pick securely planted in the ice when weighted. 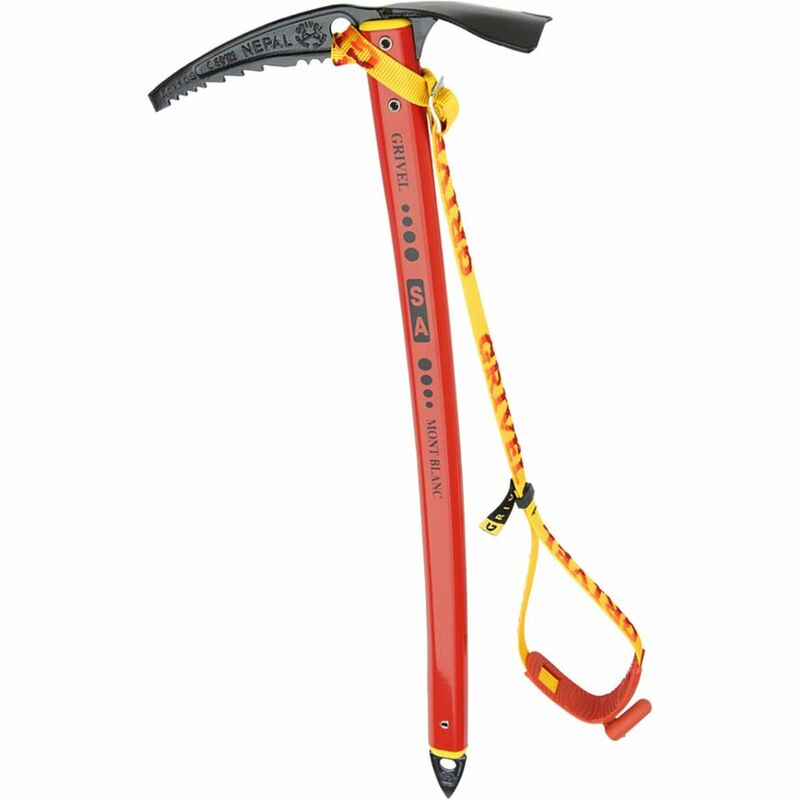 Petzl Sum-Tec Mountaineering Ice Axe: Weighing in at under a pound, this axe is as light as they come. 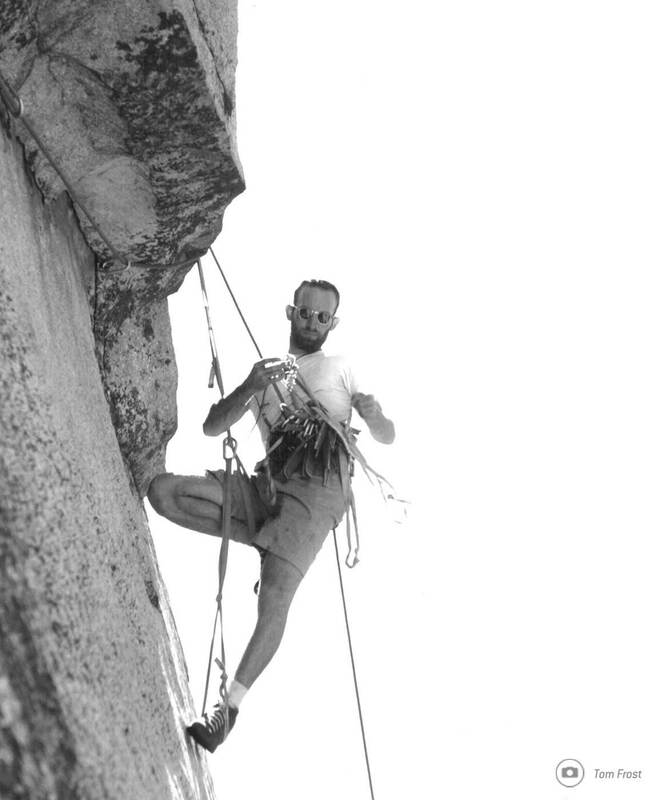 Made from twisted hemp, the ropes used by early alpinists were not very strong and were simply tied around one’s waist to provide some semblance of security. 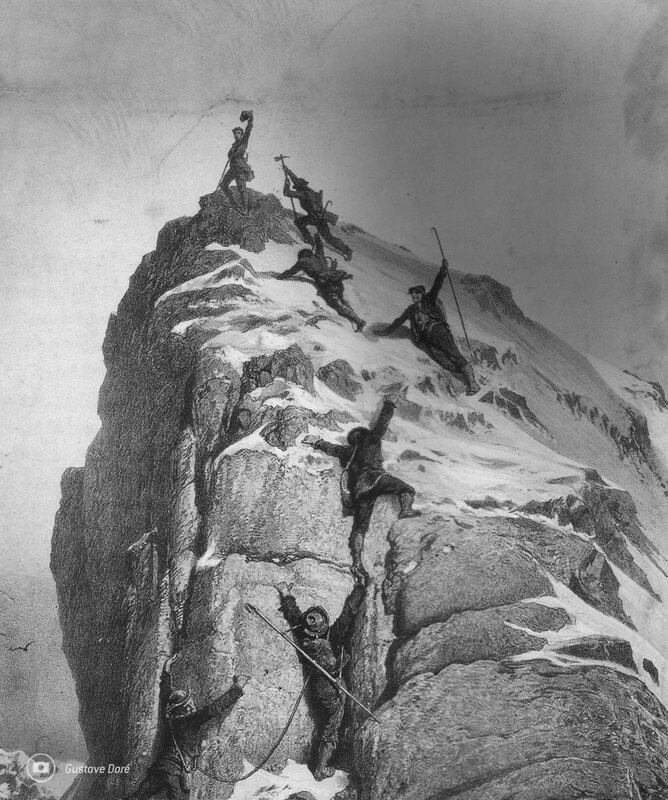 After Edward Whymper made the first ascent of the Matterhorn in 1865, a hemp rope broke after failing to hold a fall on the descent, resulting in the tragic death of four of his companions. 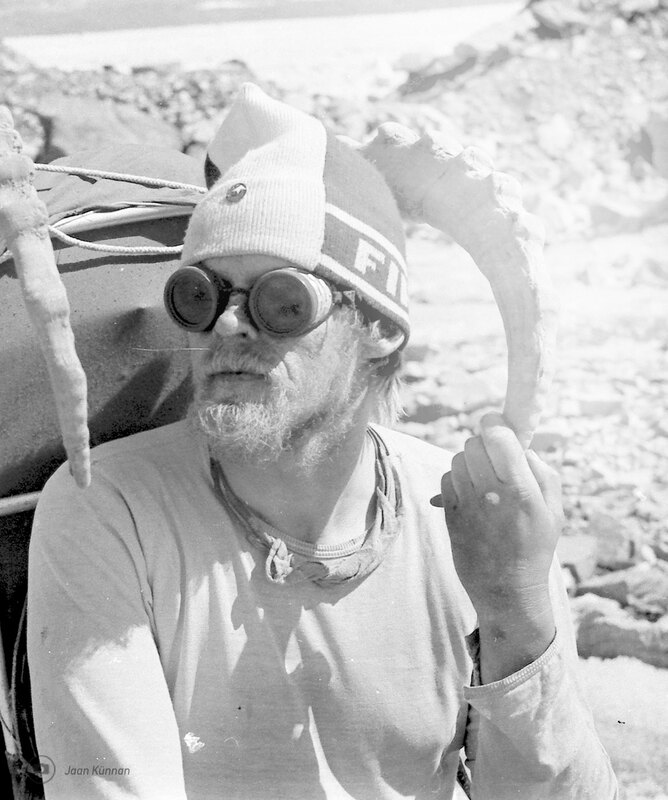 And you thought hemp was harmless. 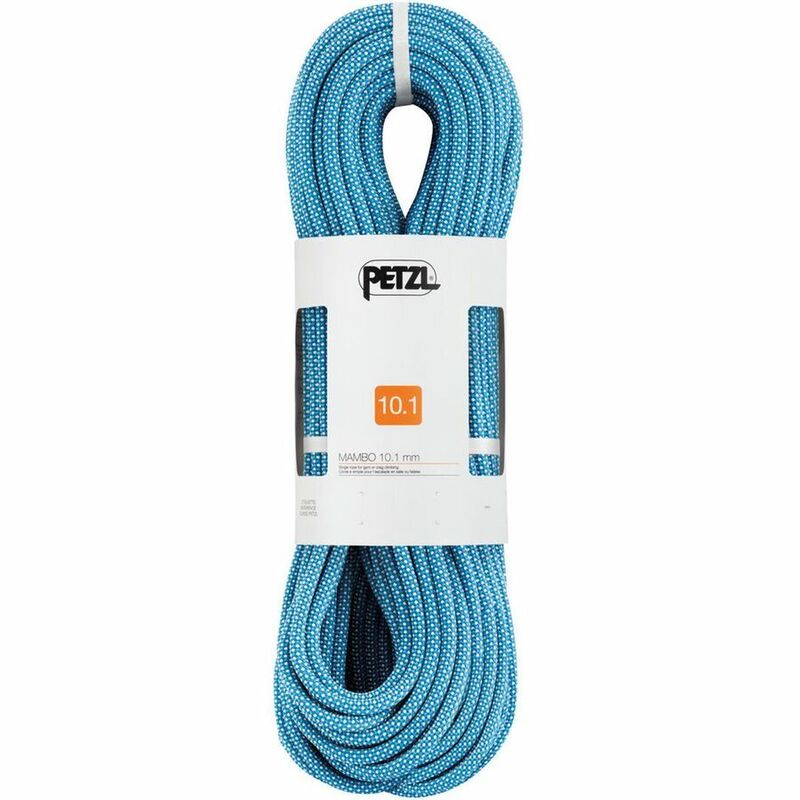 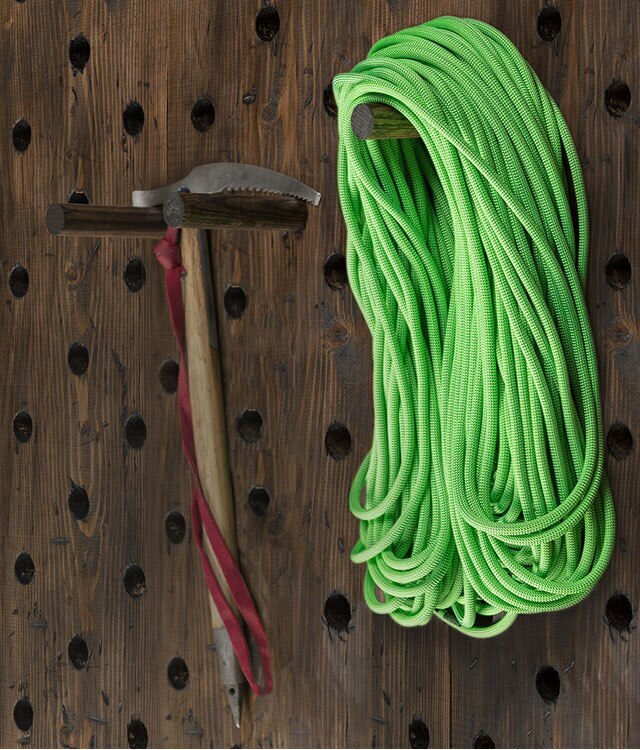 Modern climbing ropes are made from high-grade nylon and use a ‘kernmantle’ construction that consists of an inner twisted core protected by a tightly braided outer sheath. 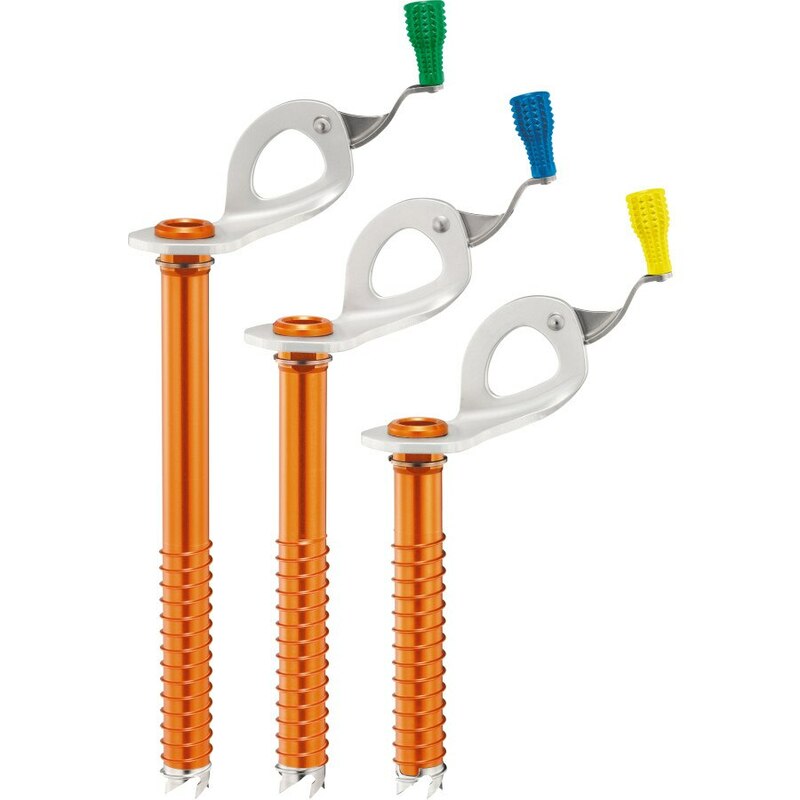 They are super strong and lightweight, holding upwards of 5,000 pounds. 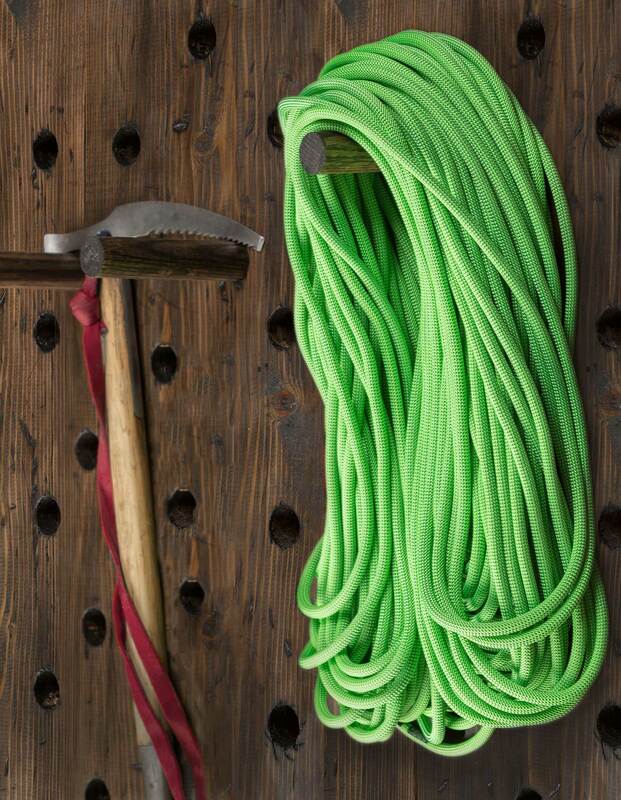 Today’s ropes are also dynamic, meaning they stretch to reduce impact in the event of a fall. 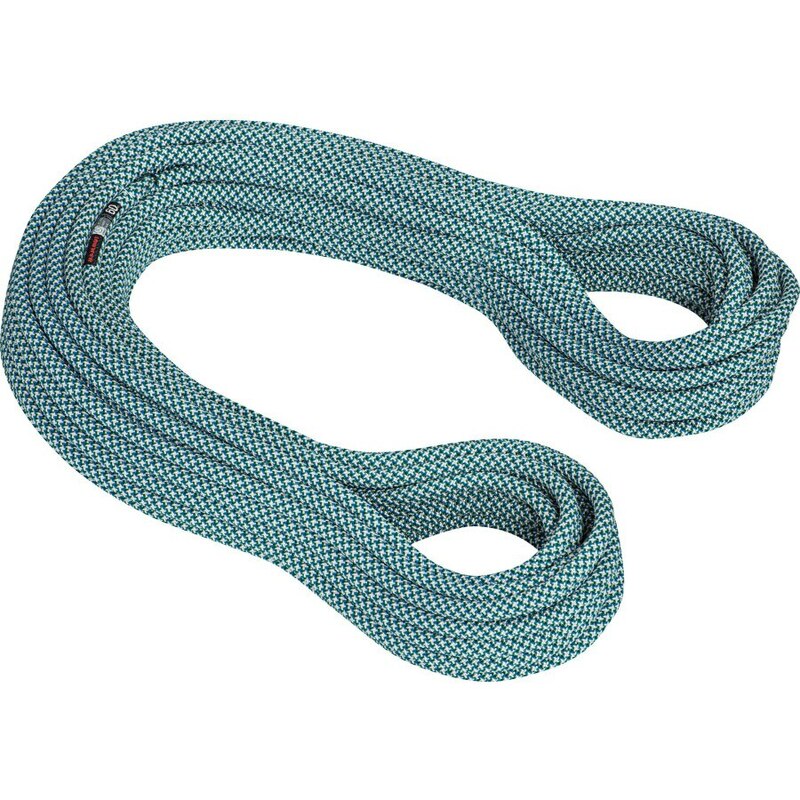 Mammut Serenity Dry Climbing Rope—8.7mm: one of the thinnest and lightest single ropes available, this is my go-to choice whether I’m trad climbing in the summer or ice climbing in the winter. 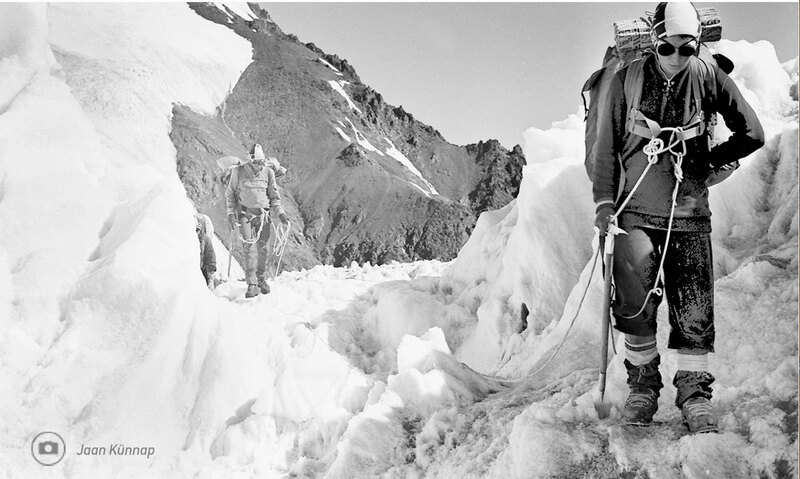 Simply put, protection is anything that keeps you attached to the mountain in the event of a fall—and in the early days of alpinism there wasn’t a lot of it. 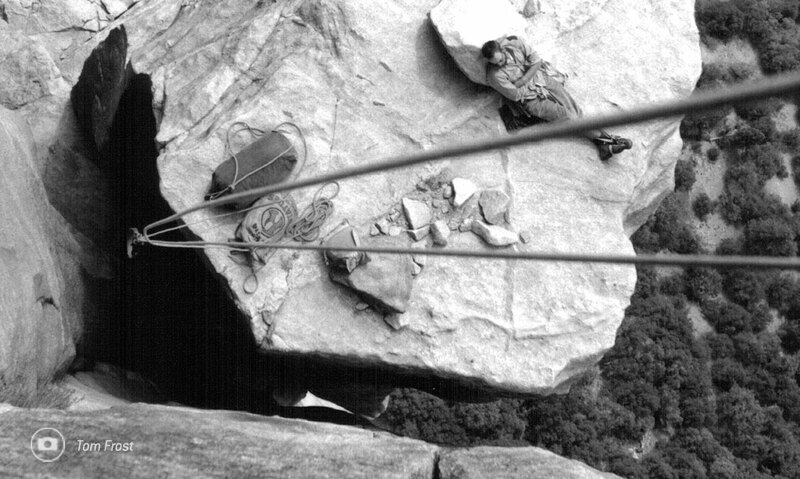 Tying a piece of rope around a protruding rock or hammering an iron spike (a rudimentary piton) into a crack was about as good as it got. 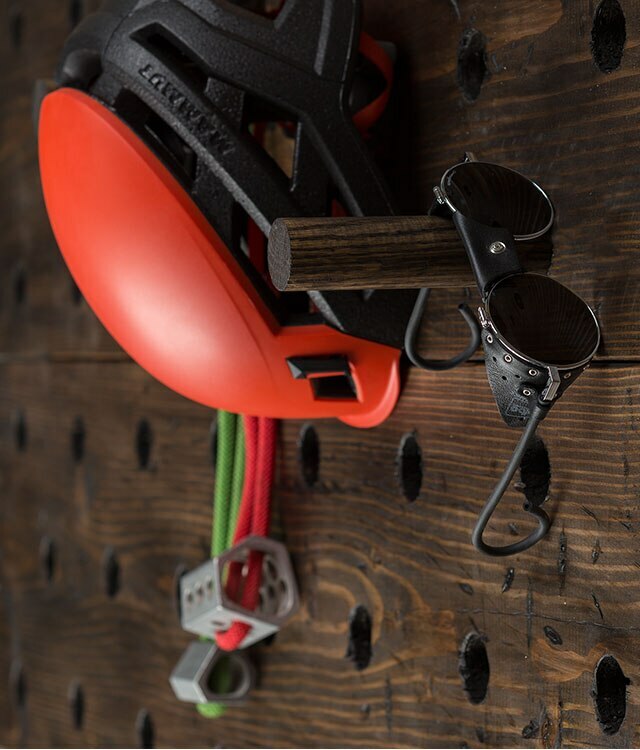 Improvements in design and metallurgy made pitons the dominant form of protection until the 1970s, when Yvon Chouinard began designing the stoppers and hexentrics that would usher in the ‘clean climbing’ revolution. 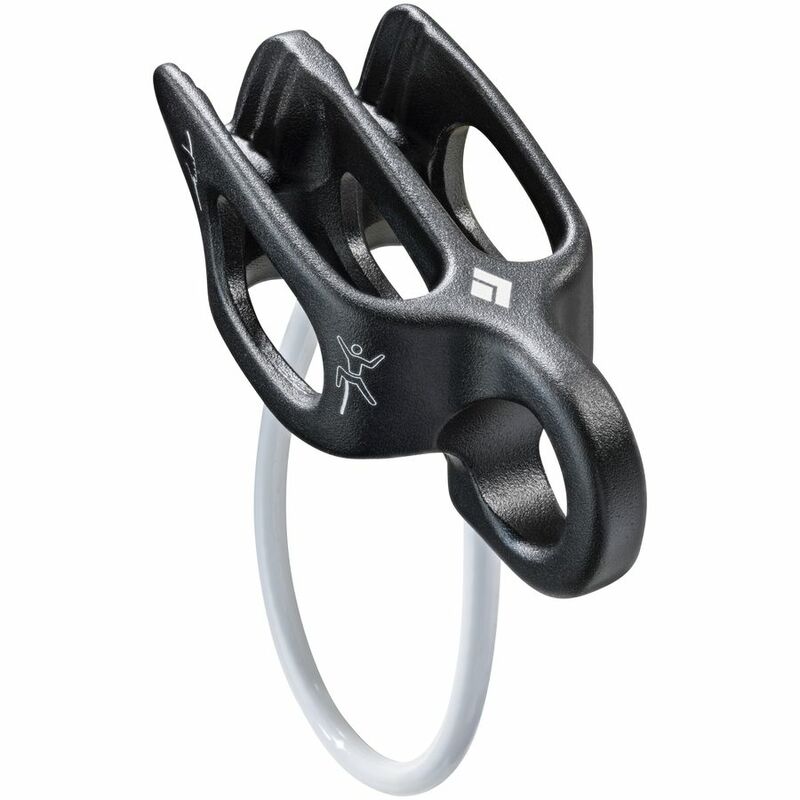 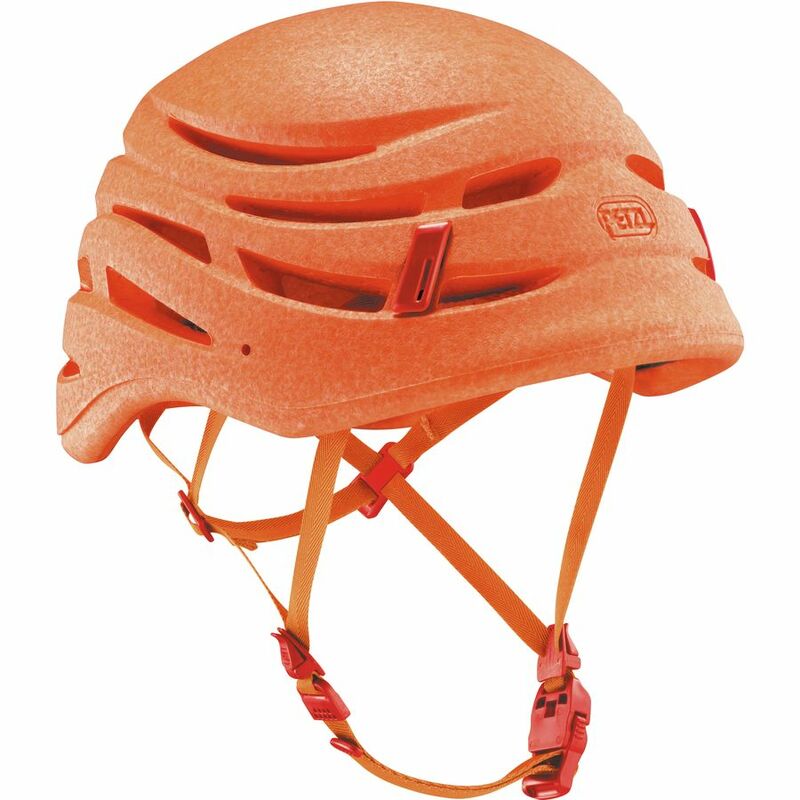 Climbing protection has evolved drastically since the early days. 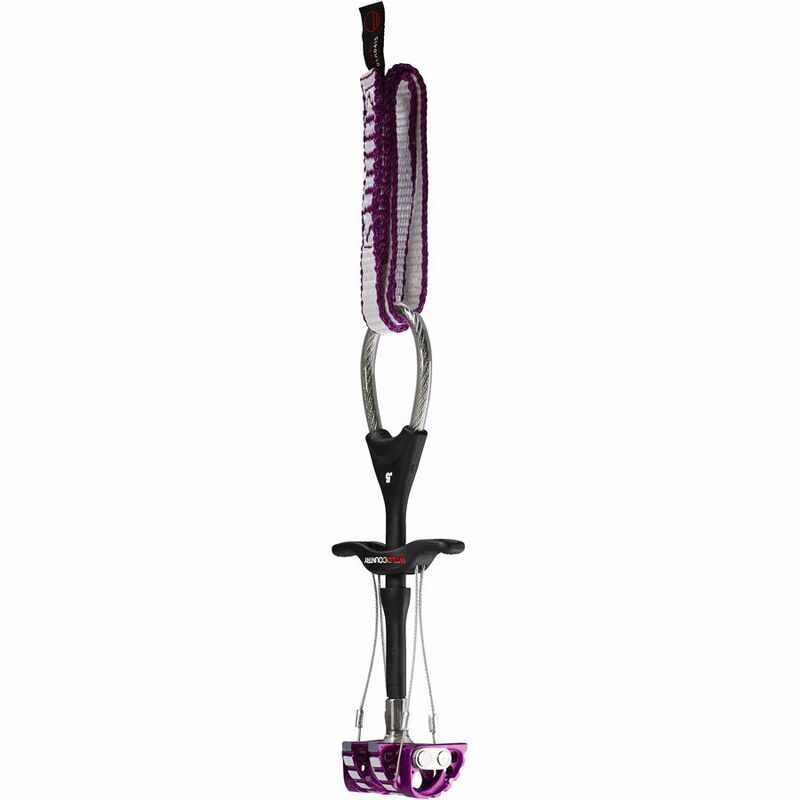 Today’s gear includes a vast assortment of protection options for rock such as nuts, stoppers, and spring-loaded camming devices, while ultra-light ice screws provide protection on icy terrain. 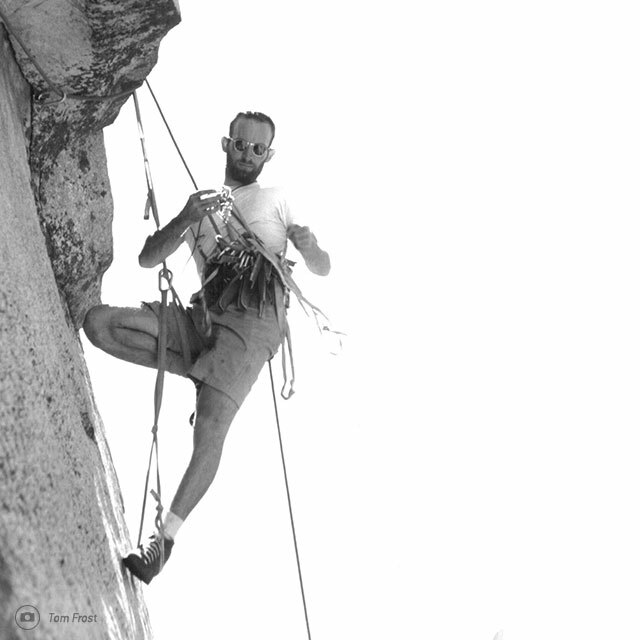 Advances in protection, and climbing techniques in general, have made alpine climbing a whole lot safer than it once was. 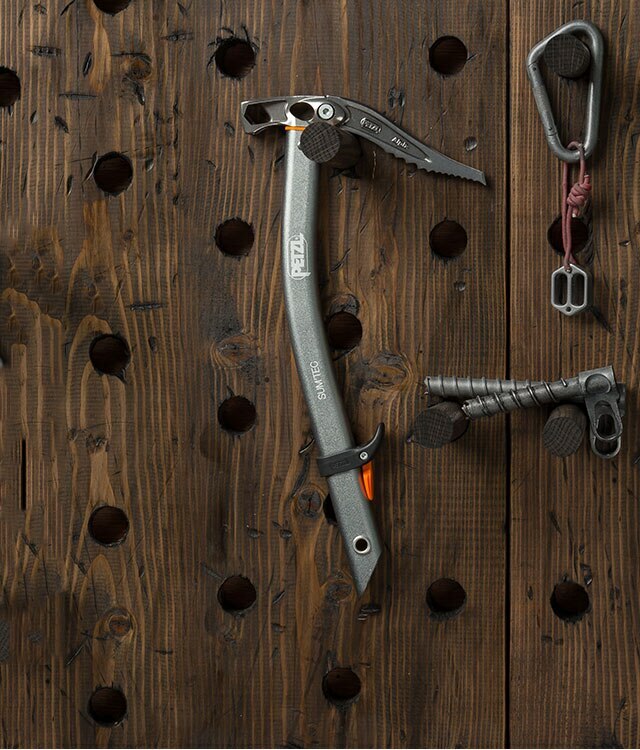 Black Diamond Camalot Ultralight: A full 25% lighter than the standard Camalot, these Ultralights are essential on fast and light alpine climbing missions. 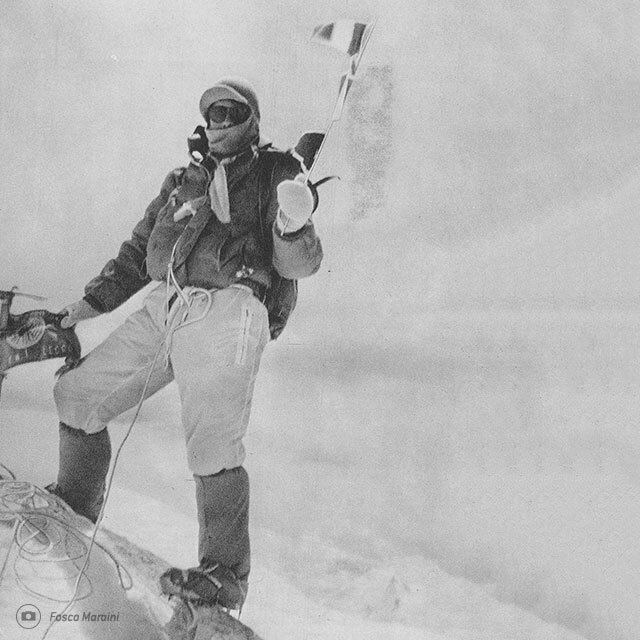 For the pioneers of alpinism, accessories often consisted of little more than a wool cap and a couple of dry biscuits stuffed in a sweater pocket. 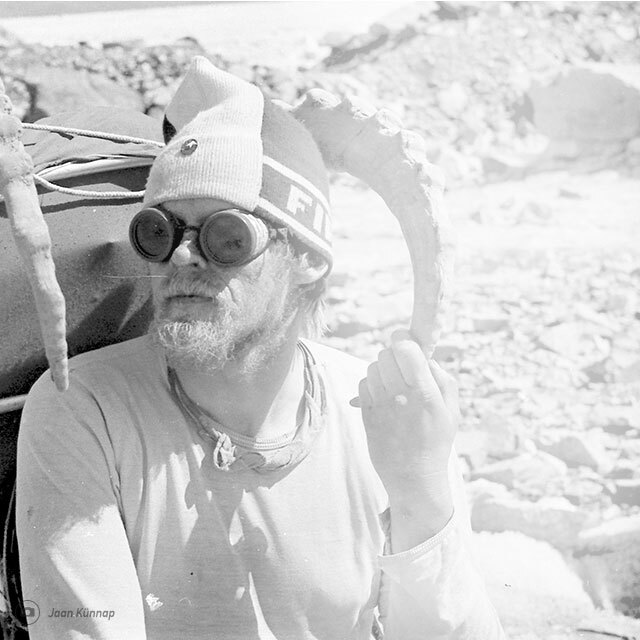 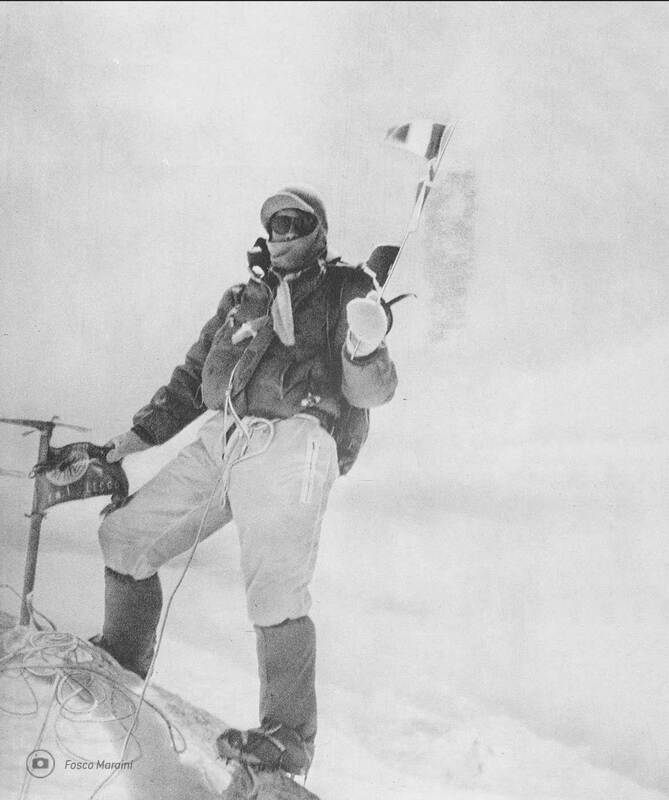 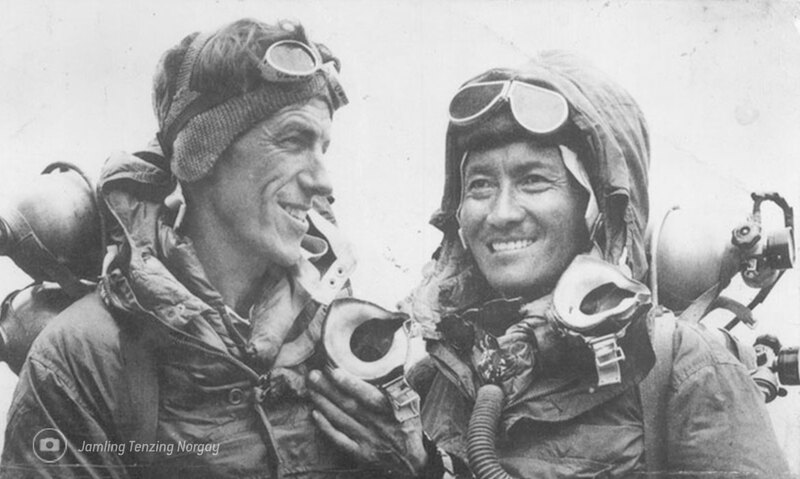 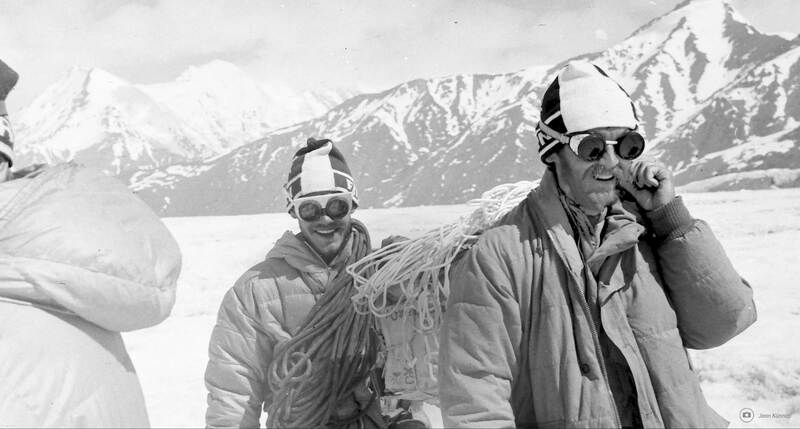 By the time Edmund Hillary and Tenzing Norgay first summited Mount Everest in 1953, mountaineers’ kits had expanded to include crampons and darkened goggles to protect eyes from snow blindness, but many items considered essential today—helmets, for instance—still hadn’t entered the picture. 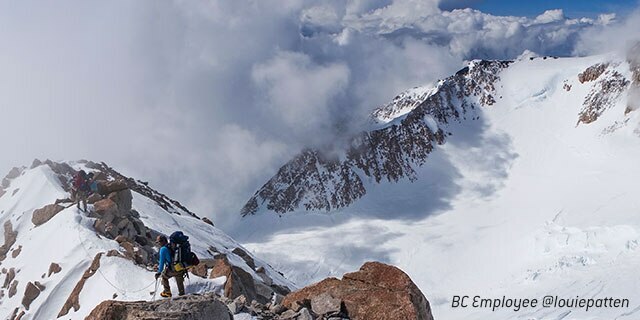 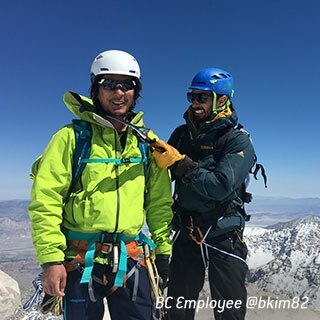 From Gore-Tex outerwear to GPS navigation watches to advanced eyewear and helmets, the essential accessories used by alpinists today have made scrambling around in the mountains more enjoyable than ever. 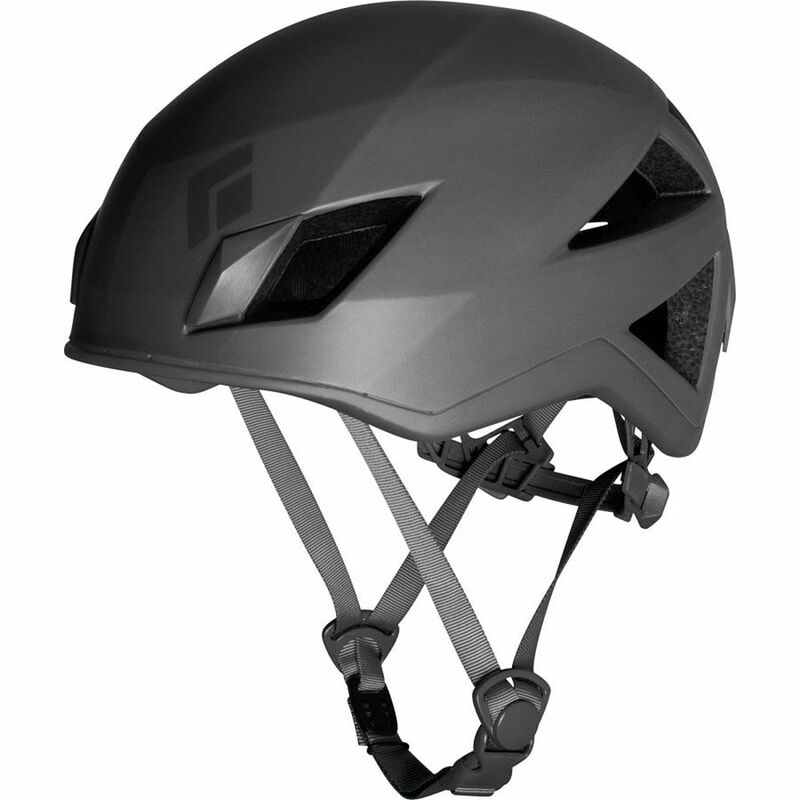 Modern-day climbing helmets can weigh as little as half a pound, which means you can protect your noggin without even noticing the helmet’s there. 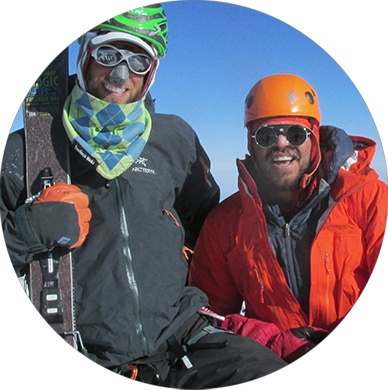 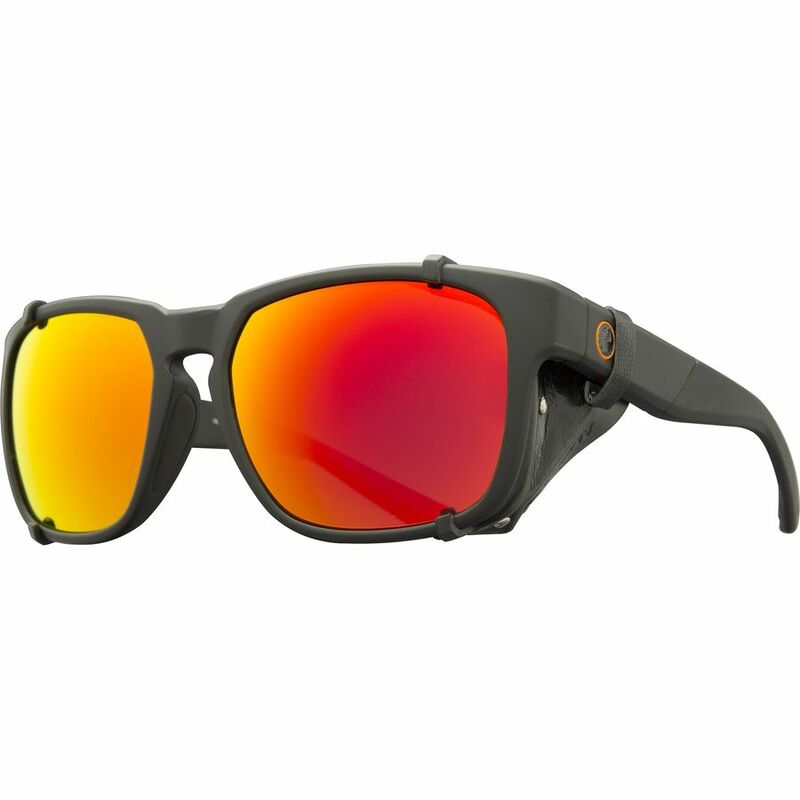 Julbo Vermont Sunglasses: My eyewear choice when I summited Denali. 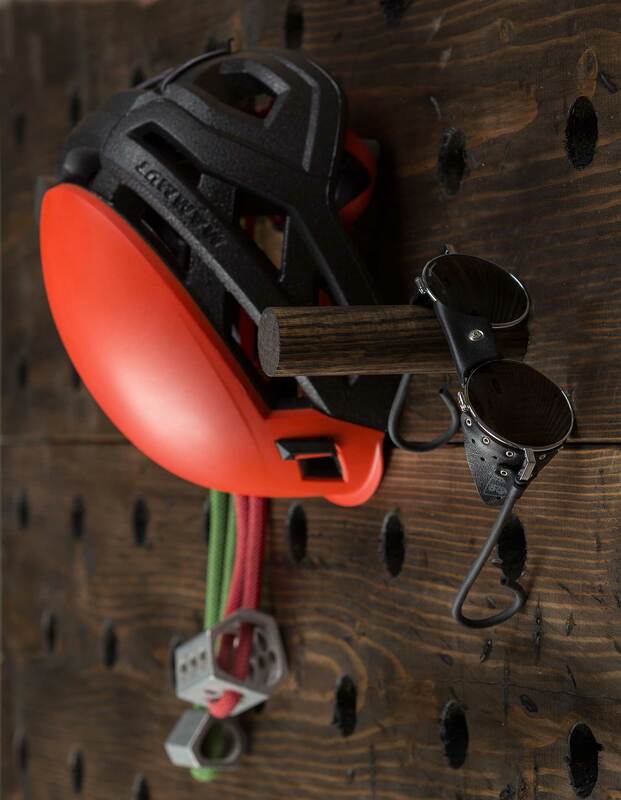 The style pays homage to the the past, but the performance is fully 21st century. 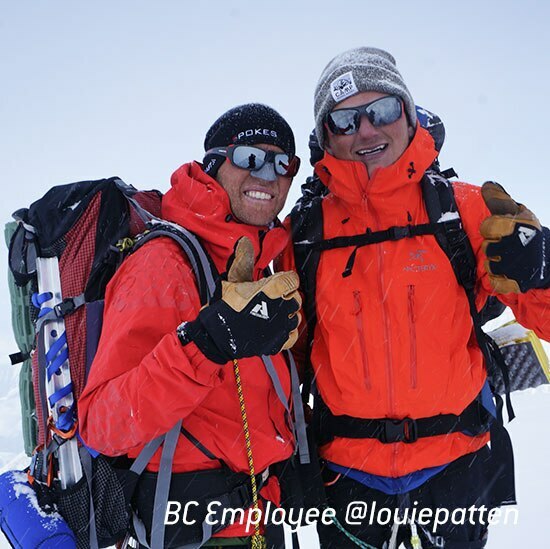 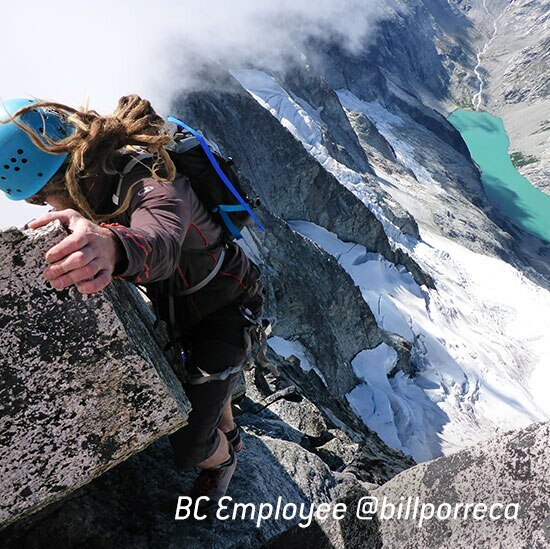 Bill Porreca can guide you to the best mountaineering gear.